Construction: approx. 149 m2 covered area (plus approx. garage of 28 m2); originally constructed 1970 and extended in 2006. 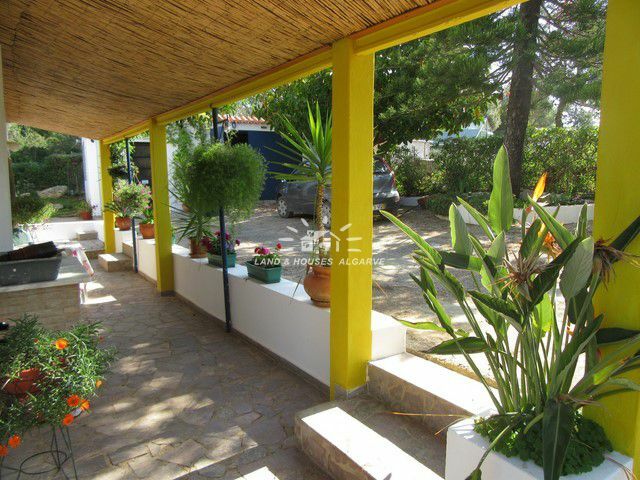 Description: The two bedroom / two bathroom quinta style villa with separate garage/ workshop is situated on a sheltered countryside location on a mature and green plot of land at the end of a cul-de sac at just a ten minute drive from various beaches and the coastal towns of Fuzeta, Moncarapacho and OIhao in the Eastern Algarve. 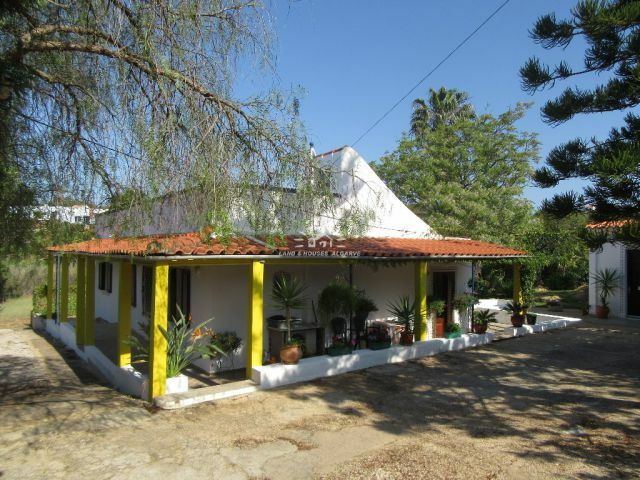 The single storey property has been restored with love and care whilst retaining many of the original features of the old traditional Portuguese farmhouses, such as thick walks and wooden window frames. 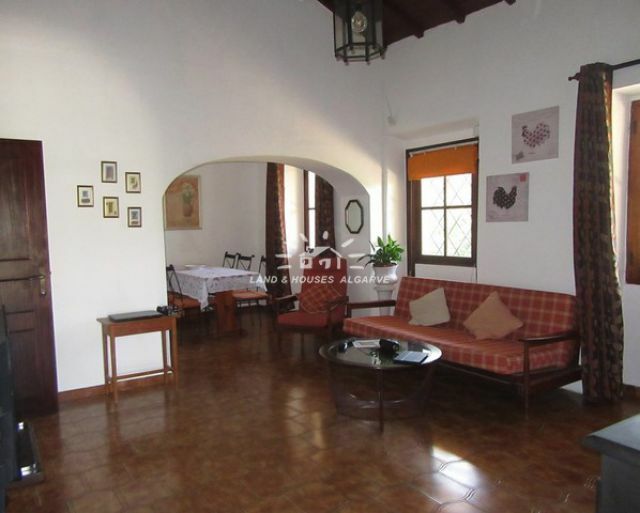 The property is approached via double gates that open onto an ample parking area in front of both the garage and the cottage, which welcomes you with a covered terrace decorated with cane ceilings that wraps around the front and side of the house. 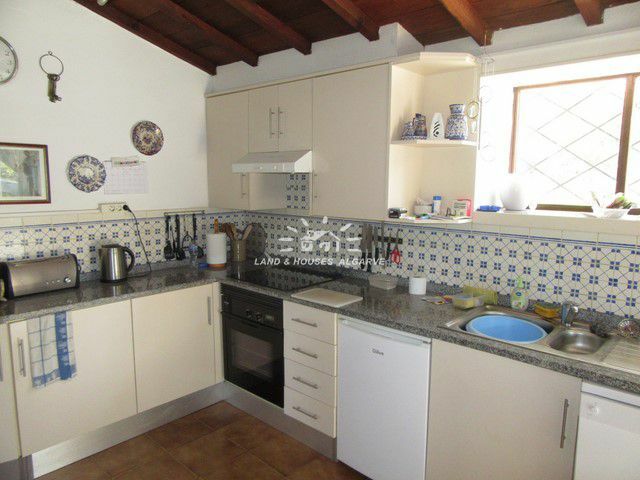 The villa comprises of a living room with double height ceiling and wood burning stove, a good size dining area, a fully fitted and recently fitted modern kitchen, in addition to a Master bedroom (with dressing area and en-suite bathroom) and a second double bedroom and second bathroom. Both bathrooms have been renovated recently. There is a large terrace, ideal to entertain, at the rear of the cottage from where you can overlook the garden that boarders with a little stream. 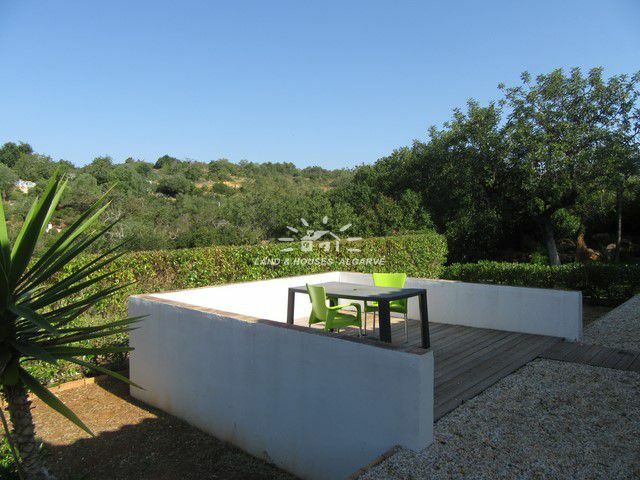 A BBQ area invites to prepare your al-fresco dinner, whilst in the vegetable garden you can grow your own Algarvian tomatoes. The property benefits from solar panels for hot water, mains electricity, water from private borehole and mains water, in addition to septic tank sewage. Note: The owners have verbal confirmation from the town hall for the construction of a pool and / or extension of the cottage. 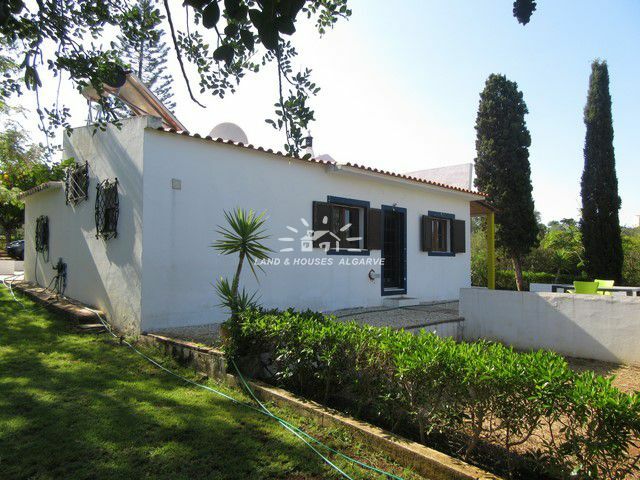 Details: * countryside location * tranquil * private * 2 bedrooms * 2 bathrooms * separate garage * single storey * green mature garden * BBQ area *vegetable garden * Energy certificate class In Progress.